Would a boy called Ronan Truelove flip burgers? No way. He’s got sword fights to win and souls to save. The supernatural Alex Rider. Yes, it IS just as great as that sounds. 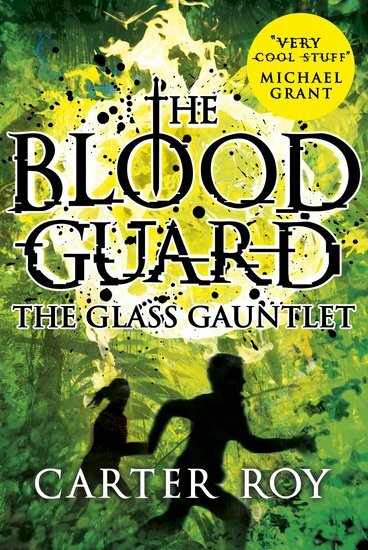 Leaving school to join the Blood Guard – an ancient magical order – sounds great in theory. But what does it actually involve? For Ronan, that’ll be sword fighting, spying and a whole lot of saving people. From his parents to an incredibly important computer geek, to – well, everybody in the world. No pressure. Oh, and did we mention that he’ll face a disembodied hand, a baffling maze and an evil tycoon? Thrills bigger than a supervolcano! 690L Lexiles are the global standard in reading assessment. They are unique as they are able to measure a child and a book on the same scale – ensuring the right book gets to the right child at the right time. it is so good when he is saving people’s.